Lucky for this quilt top, it never actually made it to my ‘quilt top closet’. Sadly for some of those quilt tops, it’s been years since they’ve seen the light of day! This one might have been on its way there, but for a trip to Nido, where I happened to see a Cotton + Steel print that would make a perfect backing. Quite a nice match, no? Somehow I didn’t even know this fabric existed, so I was pretty excited to see it in person. 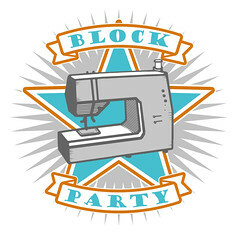 I bought enough to use it for the entire backing, so it was a pretty easy job to sew it together to make a backing. 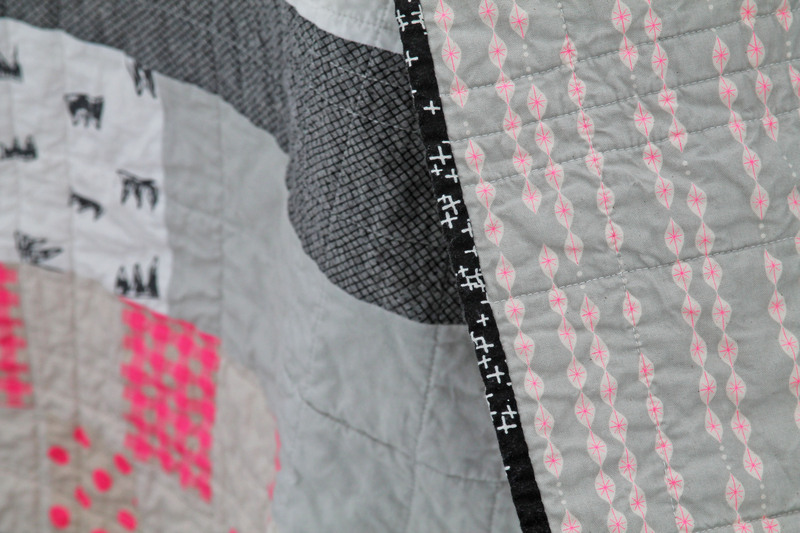 I’m really happy with this quilt – perhaps because it wasn’t planned? 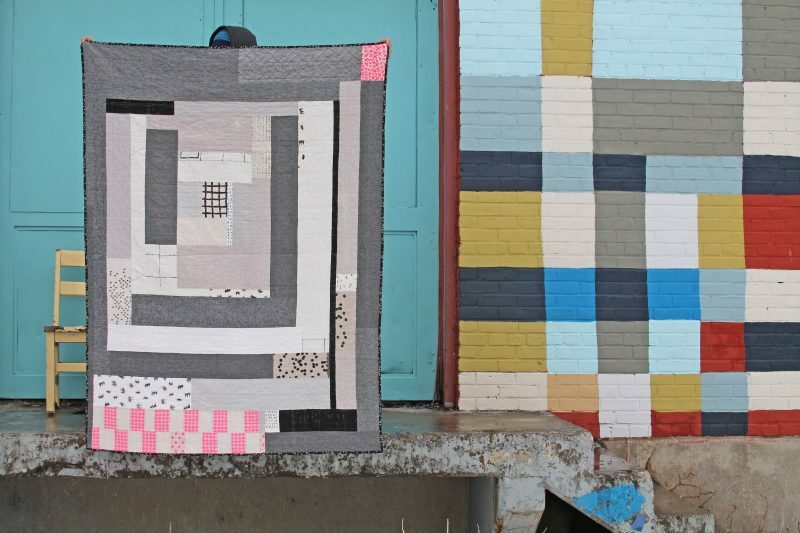 I’m not sure, but I know that I love all the neutrals and the linen and those great screen printed pieces and of course the bit of hot pink at the edges (previous post about this quilt top here). I quilted it with straight lines running horizontally and vertically, irregularly spaced. I always love how it looks, so I’m sticking with it! It’s bound with another Cotton + Steel print – I had a few binding options, but this one easily won out for it’s great scattered design, which I think is perfect for a binding. And then this wall! We went to the waterfront for a photo, but came across this painted wall on the back of an abandoned building. Though the quilt colors aren’t an ideal match, I couldn’t pass up such a great backdrop! 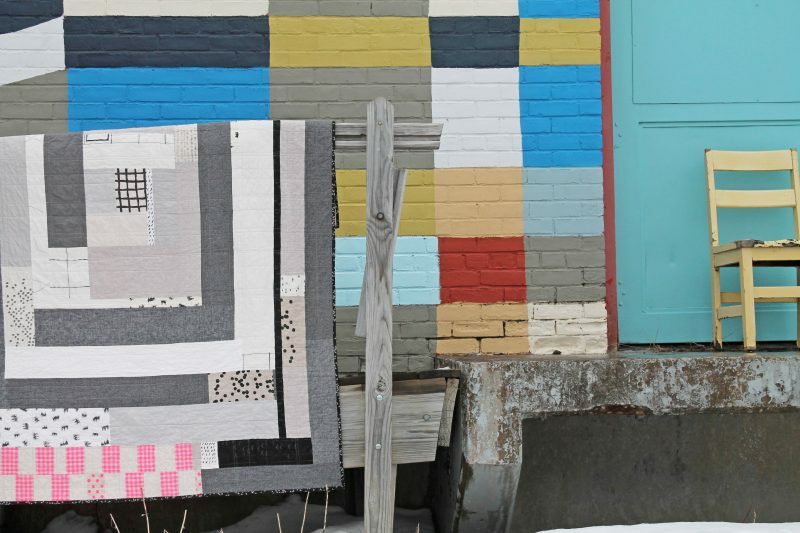 This entry was posted in [search] Square-in-Square Quilts, Fabric, Finished Quilts, Posts about Quilts, Quilts and tagged handmade, lap quilt, linen quilt, log cabin quilt, quilt, robert kaufman, screen printed fabrics. Bookmark the permalink. 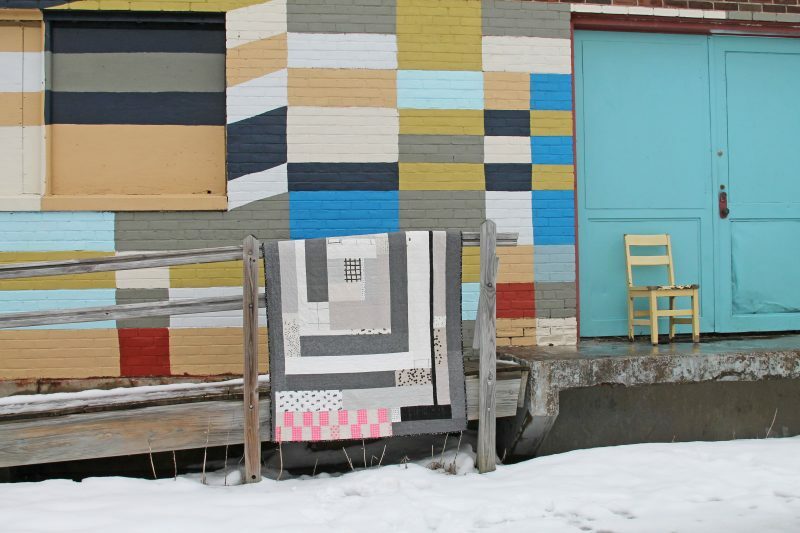 I wish that I could find a class to learn how to make improv quilts. I love this one! It’s a lovely quilt. The colors are gentle yet modern. Really a gem! love how the bright pink pops!! This photo makes me happy — the quilt, the chair, the wall, the doors. Poetry. That IS the perfect backing! Nice finish! the backing is great too. wonderful finish. I have a boat load of finished tops too. One day they will be quilted. I do not know how, but they will be. I think this is a great quilt! Thanks for sharing. 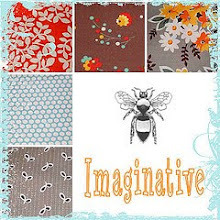 I have an idea to use the destash I got from you. Yay!! I love the wall, that could be a quilt idea also. 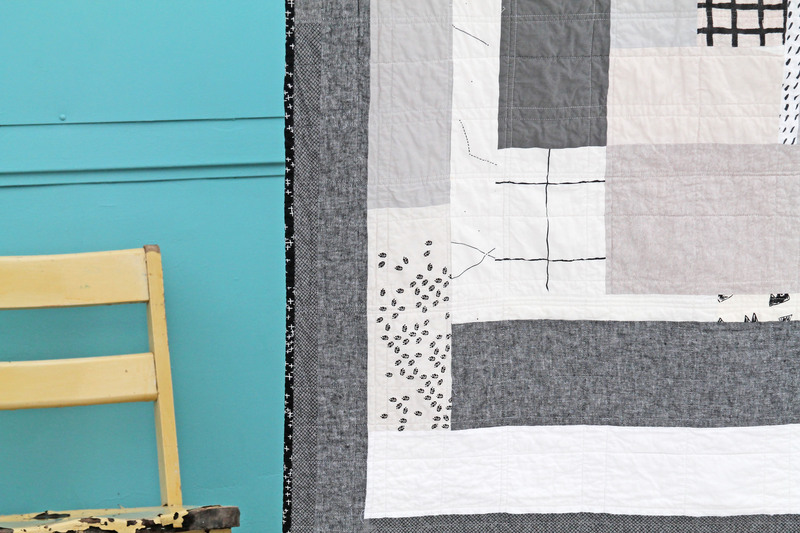 Love this quilt and the photo setting is perfect! perfect back, indeed. this may be one of my very faves…i love big scale and wonky and scrappy and mellow colors…and pink, for that matter. very pretty!! !